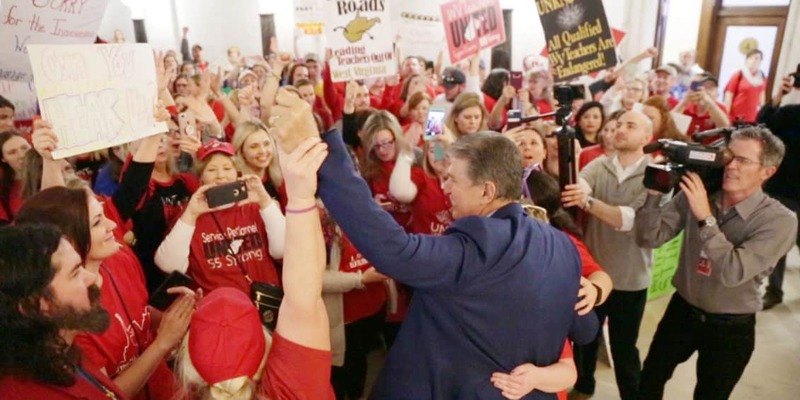 Following this year’s strike, Mountain State educators are fired up to support Manchin’s efforts to ensure a strong education system in West Virginia, and oppose Patrick Morrisey’s efforts to lock up educators during the 2018 strike. These groups represent tens of thousands of teachers, bus drivers, school cooks, custodians, office employees, instructional paraprofessionals, school nurses, retirees and many other education professionals that help educate West Virginia students. “There is a clear choice in this election for public education professionals because Senator Manchin has always supported public education in West Virginia, while Patrick Morrisey threatened to file an injunction to silence public school educators seeking better pay and benefits. “As governor, Joe increased the pay of teachers and state employees by 3.5%. He filled in the annual step increments on the salary schedule and revised the pension plan to allow teachers and service personnel to move from the mandated defined contribution system to the defined benefit system. Educators can count on Joe. He’s a true West Virginian who will always fight to keep qualified educators in our state.